Backup your data without breaking the bank. Backing up data doesn't have nearly the same appeal as playing games, overclocking, and other things you can do with a PC, but if disaster strikes, you'll sure be glad you did. It's a good idea to have multiple backups as well—both in the cloud, locally, and for your most critical files, offline and offsite. 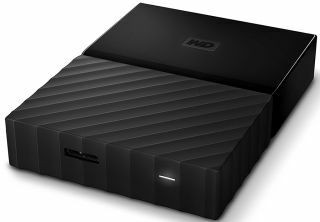 If you've been procrastinating on backing up your data, now is a good time to start, as Western Digital's My Passport drives are currently on sale at Amazon and Staples. These portable drives feature USB 3.0 connectivity and can be configured to automatically back up your data using the included software. They also offer 256-bit AES hardware encryption. These prices reflect the black version. Amazon carries other color options of each capacity, though some of them are priced a little higher. WD backs its My Passport drives with a 3-year warranty.